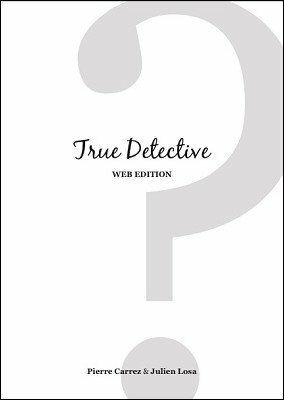 True Detective is a liar/truth-teller type routine, based on an old game that everyone knows. (This effect is based on an effect by Leo Boudreau called: "Lie to me".) The plot makes sense, you can do it 'impromptu' with an image 'found' on Google Images. this is a winner! Comes with additional ideas (close up and stage) and complete script. First published in french in 2015. 1st English edition 2016, 21 pages.